I bought more than one-kilogram of cut chicken last week and decided to fry them for lunch. Unfortunately, I don’t have much time to marinate the chicken with my usual mixture of salt, pepper and chopped garlic. 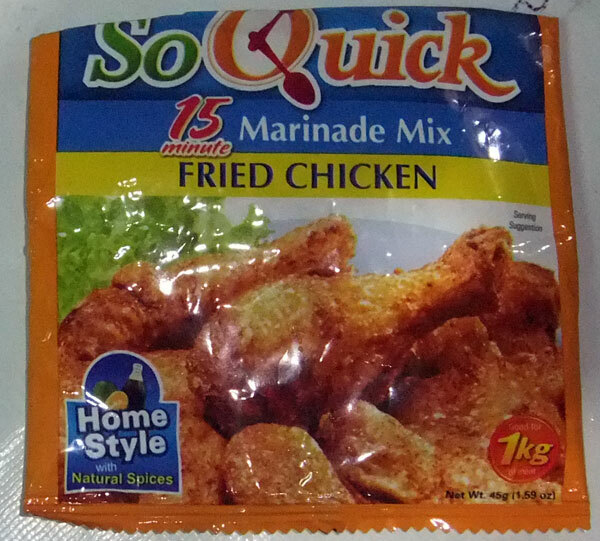 Good thing I have SoQuick Fried Chicken Marinade Mix in the fridge. It was part of the Umami package from Ajinomoto given to mommies during our PMC 2nd Grand EB last month. What’s good about the marinade mix is that it has the distinct taste of soy sauce and lemon juice, which is the common way of marinating chicken. My grandmother used to marinate chicken with soy sauce and lemon before frying and it really taste good. 1. Dissolve SoQuick Marinade Mix in 1 cup water (250ml). 2. Marinate chicken for 15 minutes (good for 1 kilo). I’m satisfied with the outcome and my kids really love the taste of my fried chicken marinated in SoQuick Marinade Mix. 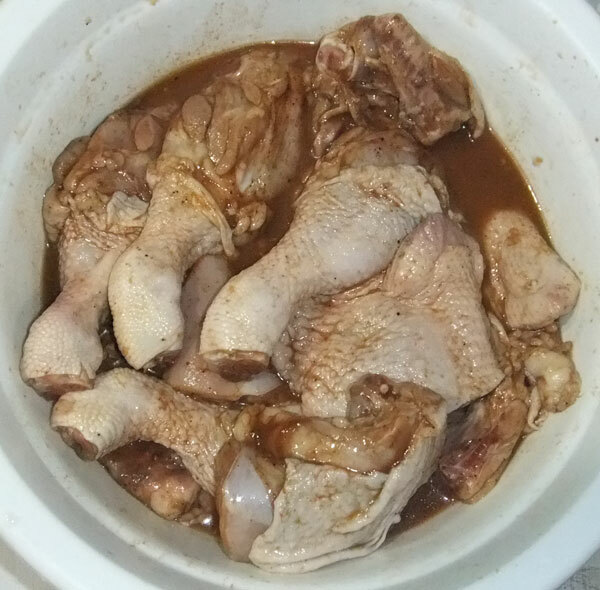 This entry was posted in Food Preparation Tips and tagged chicken marinade mix, SoQuick Fried Chicken Marinade ix on December 15, 2011 by Yami. Yummy! I really love fried chicken. Thanks for sharing your recipe.